With its Antonov wing, 2000s-era General Electric engines and a re-purposed McDonnell Douglas fuselage, Comac’s ARJ21-700 isn’t a head-to-head competitor with Brazilian, Canadian or Japanese regional jet designs. With little fanfare in 2016, a quartet of Chinese firms bought four companies that specialize in factory automation and robotic assembly: Kuka AG and Broetje-Automation of Germany, Valiant Machine & Tool of Canada and Aritex of Spain. All four are now wholly- or mostly-owned by Midea Group, Shanghai Electric, Hubei Huachangda Intelligent Equipment and AVIC, respectively.The automated tools of all four for can be found in factories across the industry at every major plane maker on the planet. The Center for Strategic & International Studies identified ten strategic sectors as part of its Made in China 2025 analysis that the nation believes are central to its ascent as an advanced economy. ‘Automated machine tools & robotics’ and ‘Aerospace and aeronautical equipment’ are numbers three and four on that list. 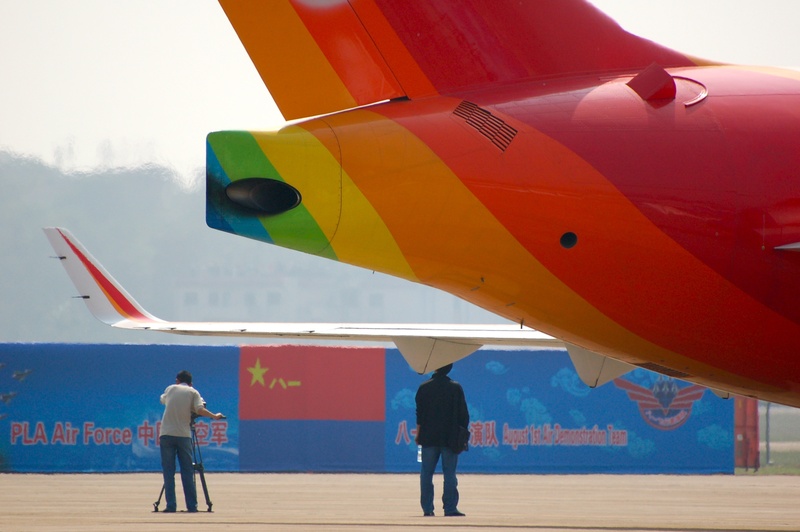 …uncertainty about funding, coupled with the dismal order book and doubts about the wisdom of this project, and looking at China’s mediocre aircraft production track record, and on top of these the serious technical problems that have plagued this program, lead us to question whether this aircraft will enter series production. 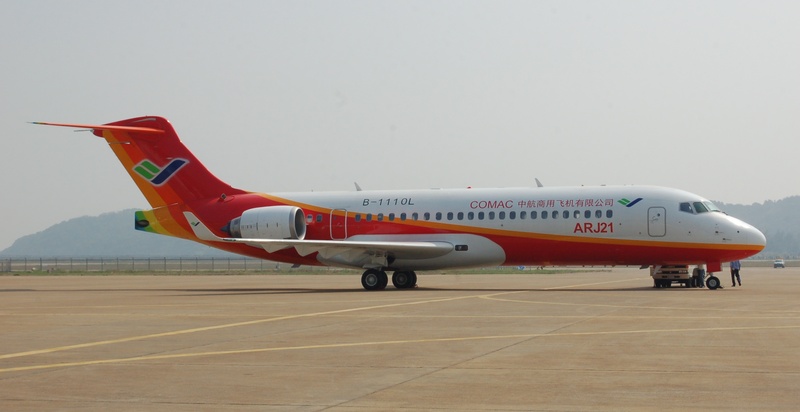 While it glacially (by Western standards) produces the first batch of ARJ21s on its primary Dachang assembly line, Comac is standing up a second facility at Pudong by 2019 with the Shanghai Aircraft Manufacturing Co. Ltd. But the line isn’t a duplication of the capabilities of the first. “It’s an R&D testing ground for proving out concepts” for automated manufacturing that will eventually mature for the C919 and CR929, concludes David Pritchard, Associate Professor of Business and aviation Researcher at SUNY Empire State College in Buffalo, New York. Pritchard worked in aviation manufacturing development and assembly automation for two decades. And Comac’s plans bolster that assessment. A detailed presentation about the establishment of the second Pudong assembly line – reviewed by this page – focuses heavily on increasing the automated assembly of the ARJ21. Employing technologies like flexible rail drilling machines, load-transferring AGV drilling systems and other robotic drilling arms are all slated be at the center of manufacturing. The goal is to increase output capacity to as many as 45 airplanes per year, including 30 from Pudong. Boeing and Airbus individually produce more than that many 737s or A320s each month, but “at the end of the day it’s a learning project,” said Pritchard. A spokeswoman for Comac’s unit in the Americas declined to comment. AlixPartners, a management consultancy with a focus on aerospace and defence, posits that over time that automation in Chinese factories for the C919 won’t play a significant role in matching western competitiveness. Instead, it believes China’s will reach parity by 2027 with Boeing and Airbus through a combination of repetitive learning curve and hourly cost advantage. But with Kuka, Broetje, Valiant and Aritex – and the ARJ21’s technology crucible – now firmly established as part of the Chinese industrial ecosystem, is it time to revisit those assumptions?